Taglit-Birthright Israel offers a free 10 day trip to Israel for Jews between the ages of 18-26 who have never been on a peer group trip previously. There are two big recruiting seasons, one in the spring and one in the fall. Social media can be used as a recruitment tool for this amazing trip, but are you using effectively? You know it’s Birthright season when all of your friends an colleagues are posting about the Free 10-Day Trip to Israel. When I was working for Hillel of Broward and Palm Beach, my Israel fellow and I came up with an idea called “Picture Yourself in Israel” to help us with recruitment. SEE ALSO: Add Friends to Facebook Lists to segment your posts and not annoy your friends. I wrote an article for eJewishPhilanthopy about how to engage Jewish Millennials on and off line, which included details of our Birthright campaign. We took pictures of students and our graphic design intern Photoshopped their heads on bodies, either on camels or in the dead sea. We placed those pictures in an album on Facebook called “Picture Yourself in Israel”. We offered a prize for the picture that got the most Likes. We tabled outside of Hillel for our “Picture Yourself In Israe” campaign with a camera and a clipboard. We let students pick the picture they wanted their head to be photoshopped on. The student in the blurred out image above happened to see the album on Facebook and asked to participate without our prompting. It may be hard to see, but she is also wearing a fake mustache that I had at my desk. You’ll notice that we added a blurb to the bottom of the picture which had our tagline and website on it. This student happened to be in a sorority and used her wide social network to get this Liked so many times. How do I know that this technique worked? I don’t. We didn’t track to see how many registrants signed up because of this picture. 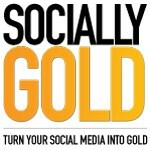 My advice is to use is use tracking sites like goo.gl or bit.ly which will create trackable links for you. You should also be deliberate about asking how they heard about your trip during the interview process. The above mentioned tracking websites will give you a sense as to how many people clicked on the link. You can use that information to determine when the best time to post is. Perhaps it’s during the day, or at night. Maybe sundays work better for you. The best time to post varies by audience. It’s easy to post memes about Birthright recruitment, but are you measuring how effective you are? Facebook provides Insights which also shows you how many Likes, Shares and Comments your posts get in addition to other data points. I do have to give a shout out to Hillel of Broward and Palm Beach this recruiting season for creating a meme that made me actually laugh out loud. Do you have an effective way of recruiting for Birthright using social media? Let us know in the comments. Ask students who have been to Israel before to help recruit! The University of Texas Hillel Birthright Recruitment Video! 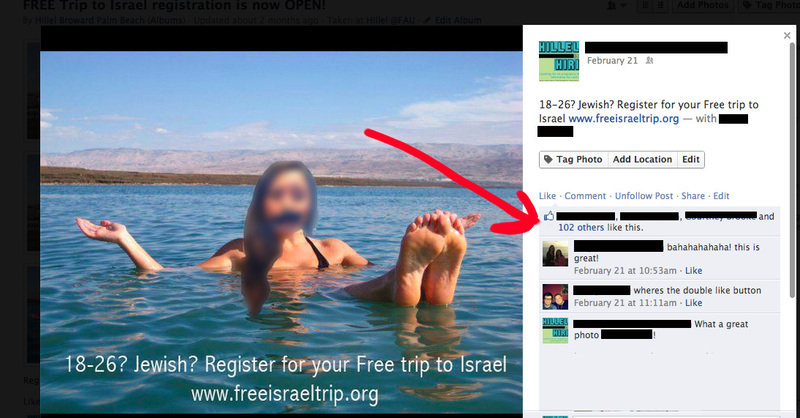 Taglit-Birthright may have their own rules regarding how you market their free 10 Day Trip to Israel. It is important to make sure you are not violating any of their brand guidelines. You can find their guidelines here.